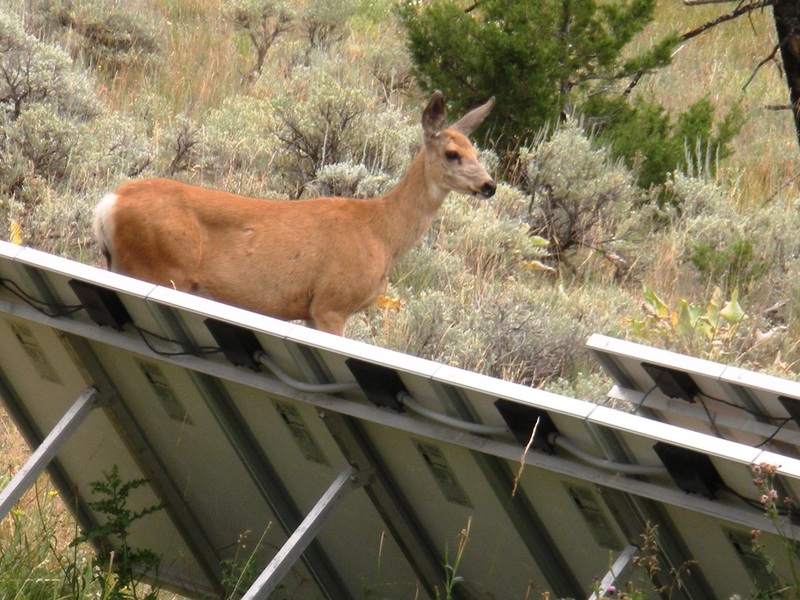 Our deer and our solar panels get along just fine! Today World Wildlife Fund is promoting the idea of “Earth Hour” -a call for action on climate change by asking for everyone to turn off their lights for one hour tonight (even the Las Vegas Strip is going dark!) and not use energy coming from climate impacting sources. As individuals who believe in clean energy, I think it is up to us to take personal action as well as legislative. We run our entire home off of wind and solar and it’s not hard, complicated or more expensive in the long run. We need to learn to think along the lines of energy independence, not just from foreign oil, but from big energy corporations as well. 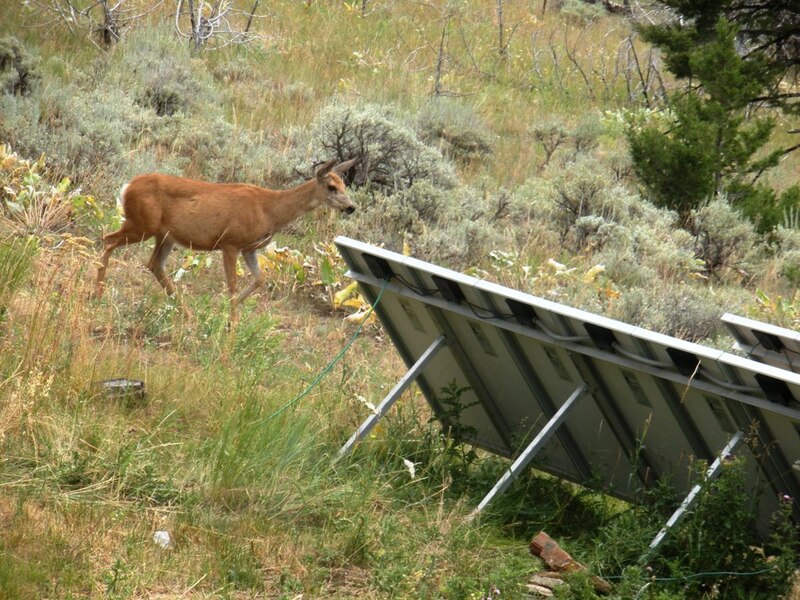 Put thousands of solar panels up in the desert and you destroy thousands of acres of wildlife habitat. Put thousands of solar panels on thousands of homes and you have energy independence! One of the misconceptions of solar and wind as “clean” energy, is that they aren’t damaging to the environment. While the individual structures are pretty benign, when you put up thousands over 40 square miles, that makes one heck of an impact. And they are often hundreds, sometimes thousands of miles from where the electricity is going to be used. I realize that some of these projects are inevitable, but we could drastically downsize them if we could just get individuals to realize that we don’t HAVE to have a big energy corporation sell all of our energy to us. We can make our own! I should have known that I was tempting the gods yesterday by crowing about our blooming buttercups and brilliant bluebirds. This is what we woke up to this morning. Poor buttercups. Poor bluebirds. Poor me. Buffs don’t mind it, though. 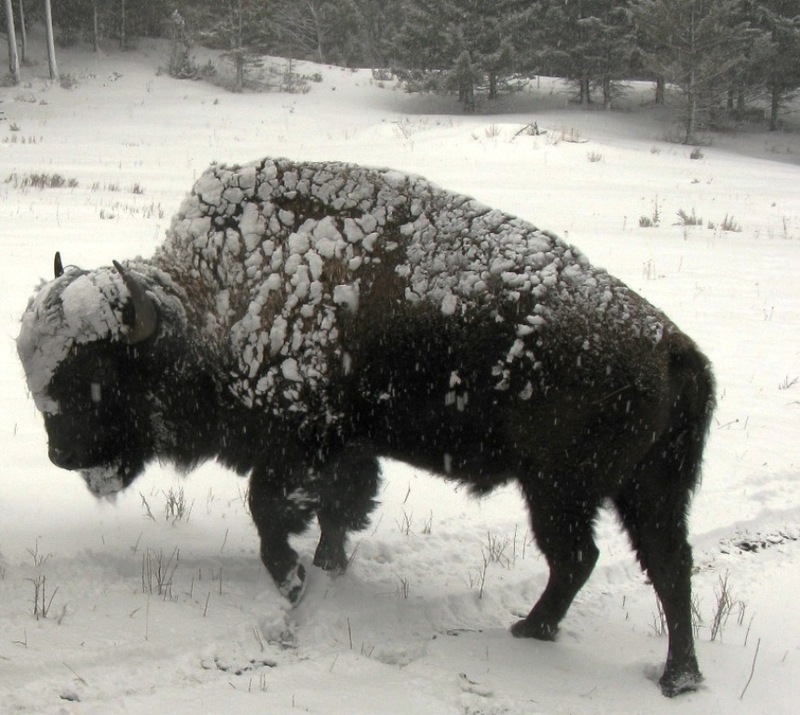 Woolly Bully prancing in the snow. 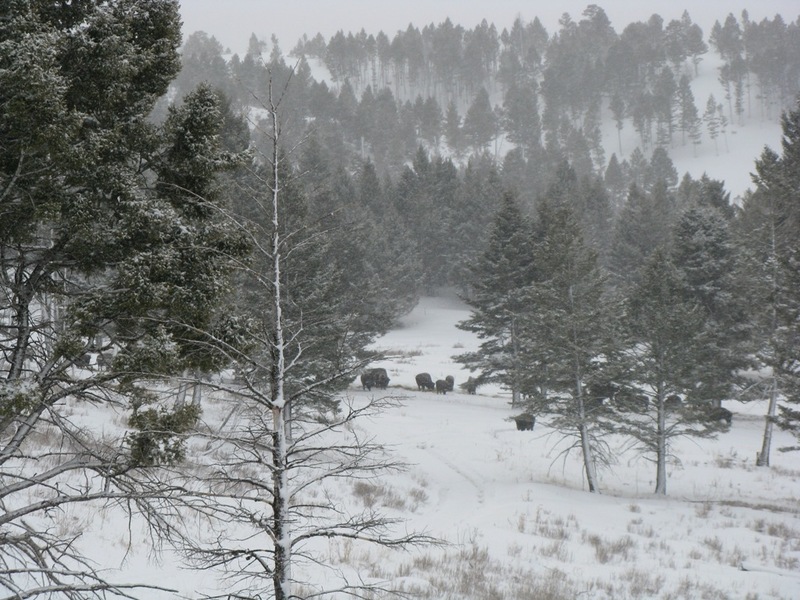 Spring snowstorm slams into the ranch. 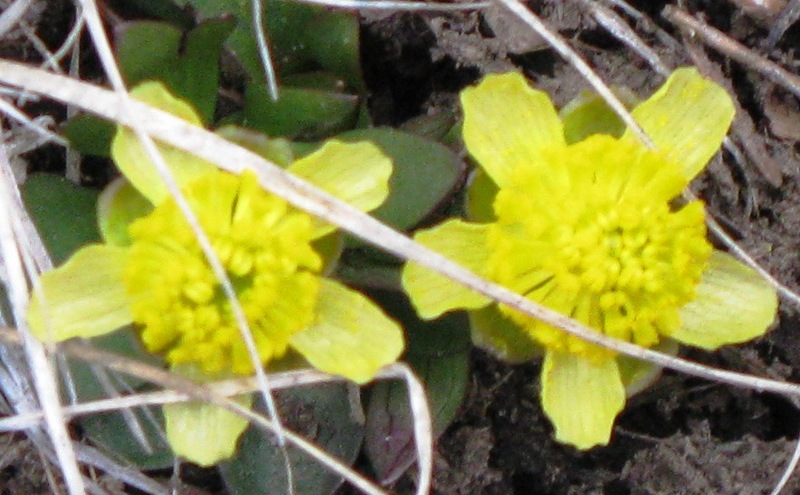 Even at 6000 feet in Montana’s high country, spring is coming! The buttercups are one of our very earliest flowers – often poking their sunny heads up even when surrounded by snow. 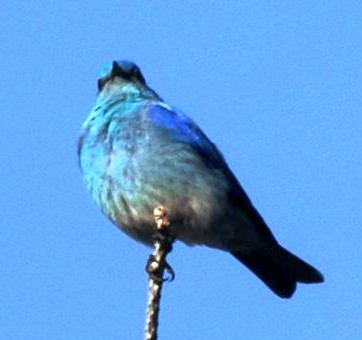 We saw our first buttercups yesterday and the mountain bluebirds have finally made it all the way to the ranch. We’ve been seeing them at lower elevations, but today they’re here on the fenceposts and checking out the birdhouses! Male Bluebird surveying his domain! First blooming buttercups of the year! We are constantly reminded of the many reasons that we named our ranch Wild Echo, and after a long winter of silence, it’s a particular thrill to hear the exotic calls of a Northern Flicker echoing across the mountainside above camp. 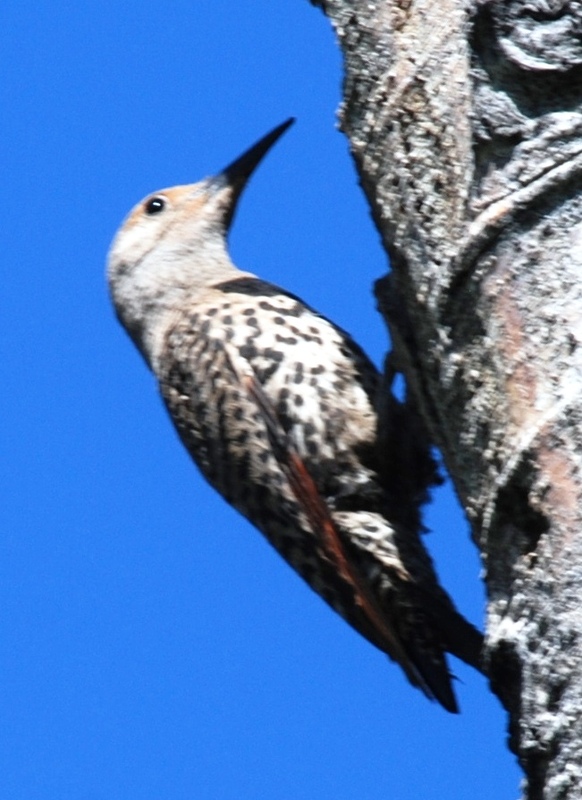 We have flickers in abundance here on the ranch once the snows have retreated and a pair of them always nest in the snag right next to the cabins (last year they shared the same snag with a pair of bluebirds and a pair of sapsuckers), but there’s something special about the first fearless flicker of the year :). Our "camp" flicker feeding young last year. 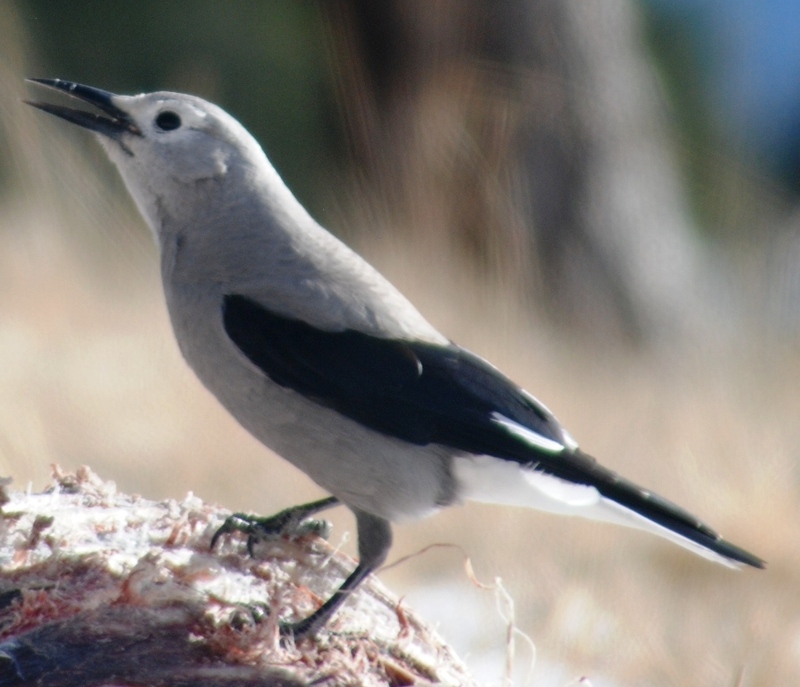 We still have lots of snow on the ground, and most of the wildlife that lives here in the summer is quite happily ensconced in our lower valleys, but we do have a few “resident” birds who are willing to “tough out” our wicked Montana mountain winters. 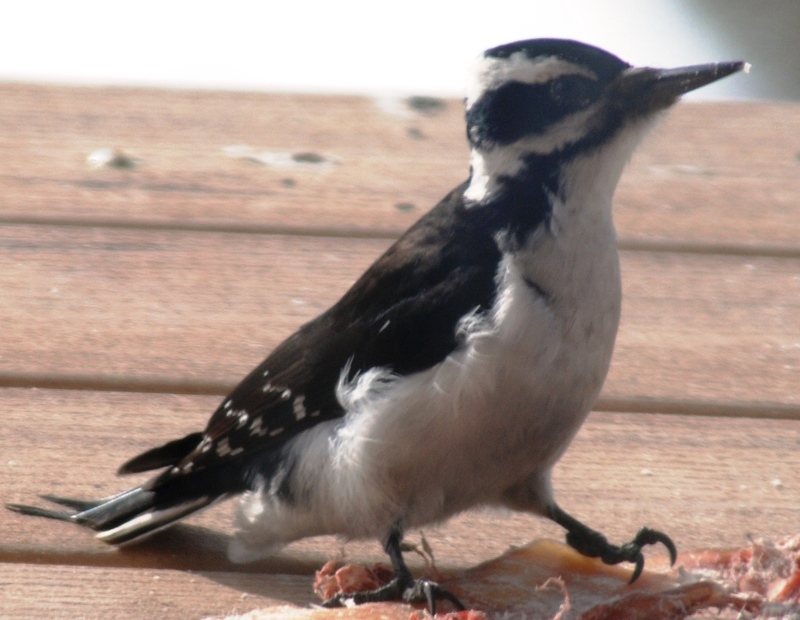 We keep bison bones and fat out on the porch for the Clark’s Nutcrackers, mountain chickadees and occasional Hairy woodpecker, so we see and hear them all winter long. But this morning we got a surprise when a pileated woodpecker stopped by the house and gave his ringing call (sounding much like a very loud flicker)! That’s a first for us to see this huge woodpecker here and it just made our day (though I wasn’t anywhere near fast enough to get a photo, so you’ll have to check out the link to see what this uncommon bird looks like).